As we look forward to the summer we start to plan how we are going to spend it and indeed how we will entertain the children throughout the holidays. So what better than a day celebrating the very best of British heritage. This July the biggest and greatest countryside show displaying the epitome of our countryside – traditional and new – will be held at Belvoir Castle, nr Grantham on Friday 24 – Sunday 26th July. The CLA Game Fair is unique in that it rotates locations between 4 prestigious English Estates. The Show was last held at Belvoir Castle in 2005 and last year it celebrated its 50th anniversary at Bleheim Palace, Oxfordshire. 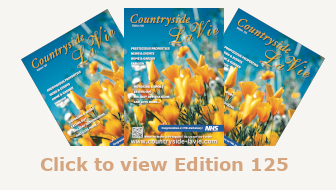 Attracting the world’s largest gathering of country sports personalities, professionals and enthusiasts from throughout the UK and abroad it is a spectacular 3 day countryside festival. 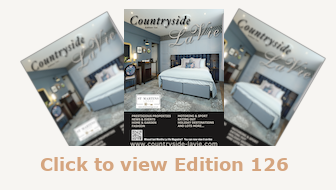 It is here that visitors will find the most comprehensive representation of their favourite country pursuits as well as the most fabulous displays of every aspect of the countryside. Shooting, fishing, gundogs and falconry are at the core of The Game Fair with displays, world class championships, competitions, tuition, and have a go activities to be found throughout the 500 acre site. However, not only is The CLA Game Fair the annual gathering and eagerly enjoyed social occasion for enthusiasts of country sports, it is also a three day show case for the whole of the countryside enjoyed by families from all walks of life looking for a fabulous day’s entertainment away from the commercial entertainment of Fun Fairs and Theme Parks. 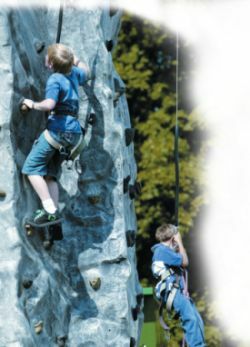 At The Game Fair visitors will find a host of features which will appeal to all members of the family. The show offers the opportunity to have a go, under expert guidance, at many of the shooting and fishing disciplines, hands on experience with falcons, dogs, horses and ferrets, even the chance to walk away with awards and prizes in archery, target shooting and many other activities. However, if that does not send you racing to Belvoir Castle at the end of July to try all the traditional country sports on offer then take the family and pound the areas of the show that displays the newer activities to be enjoyed in the countryside. Aerial Trekking, bungee trampolining, quad bikes, laser combat, maize, off road driving, wall climbing, maize maze, woodland walk and exploring the rural future are a few of the hours of fun to be had whether you are 5 or 75. Newer show areas that have grown up at The Game Fair over the last 8 years are gardening, horses and food. The equestrian show, aptly called Hooked on Horses introduces newcomers to the many different breeds of horses and their fortes as well as offering advice on how to start riding. An area of the show not to be missed is the British Food Village which features regional and local producers from many areas of the country but in particular the Lincolnshire and Leicestershire region. A lively picnic area with music is cleverly laid out in the heart of the Totally Food Show where visitors can sit and enjoy all the samples they have gathered up as they visited the stands.